Ripple is perhaps the cryptocurrency that is continuing its upward move for the last 30 days. The currency broke all the previous records on 31st December when its value touched the $2.86. Now, it has broken that milestone and climbed an all time high $3.10 mark. This also shows that the cryptocurrency has shown 29 percent increase today. CoinMarketCap reports that the currency had hit $3.11 and this shows a 1000% increase in last 30 days. The currency was trading at $0.26 about 30 days ago. This increase in the value of Ripple XRP has made it the second largest cryptocurrency by market cap. Its lead over ethereum has risen to $30 billion from $17 billion in past 24 hours. This increase in the value of Ripple has also increased the total value of all the cryptocurrencies. The total market cap of all the cryptocurrencies has crossed $713 billion today. Here, it is necessary to mention that this total market cap of all the digital currencies was $667 billion yesterday. 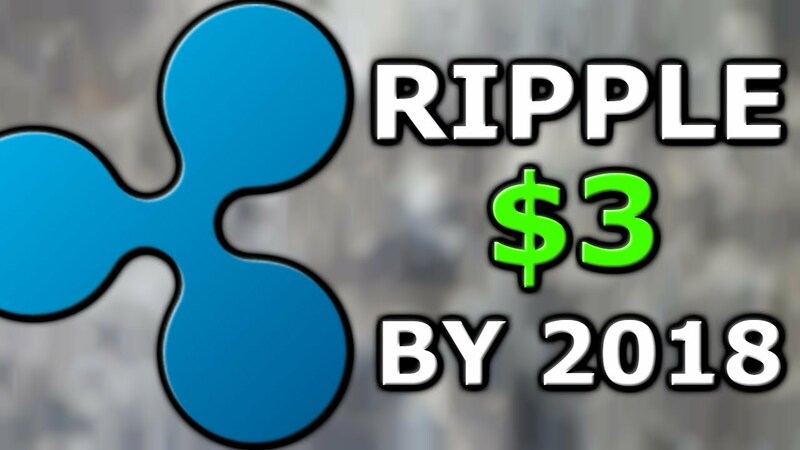 The analysts are of the view that this increase in the value of Ripple XRP is due to sustained momentum over the past 30 days and also the recent announcements in the field. The CEO of data platform CryptoCompare says that as the value of XRP increases, it attracts more buyers and investors and this cycle continues to attract more and more. The senior market specialist of social trading platform eToro also says that Ripple XRP is benefiting a lot from the current bullish sentiments in market for the currency. He further adds that every client of us wants to speak of Ripple XRP over the past few weeks. Here, I would like to mention once again that Ripple XRP has gained a lot of value in the recent days due to development of partnerships with leading banks including SBI Asia and Japanese banks and credit card companies. The market hype that XRP had taken the second place in crypto currency continues to drive this upward movement in the value of Ripple. A partner in Redwood City Ventures also says that news events in the field of crypto currencies are driving the value of Ripple XRP. He states that this movement may also be due to the news of escrowing $ 55 billion funds by the company and its partnerships with American Express and Santander. And, the recent news cycle is further playing a vital role to make the currency march past $3.11 mark today. Another rumor is also circulating in the field of cryptocurrencies that Coinbase, one of the largest crypto exchanges in US, is going to add XRP trading function. If this is true, it would make XRP reachable to wider audience. This listing of Ripple XRP in Coinbase will further drive the value of the cryptocurrency and it will break many more records. This is because it would become easier for the people to invest in this currency. I was wondering if you recommend any place or website that can exchange XRPs to USD into a bank account in EGYPT or Paypal, just somehow to exchange Ripple back to Fiat. P.s not selling my XRPs any time soon but its good to know how to exit.